Vietnam on July 4 handed over two Chinese men, who have been wanted by Chinese authorities, to the Chinese police. On June 29, police of Mong Cai city in the northeastern province of Quang Ninh received a letter from the police of Dongxing city, China’s Guangxi province asking for assistance in rescuing Zhang Ke Liang, a Chinese national, who was being kept as a hostage in a hotel in Mong Cai. The Vietnamese police went to check Dai Nam Hotel on July 2 and found Zhang Ke Liang and his friend, Chen Chun He, from Beijing, being illegally held captive by Zhang Xin Qiang and Qian Hong Liang, both from Zhejiang. 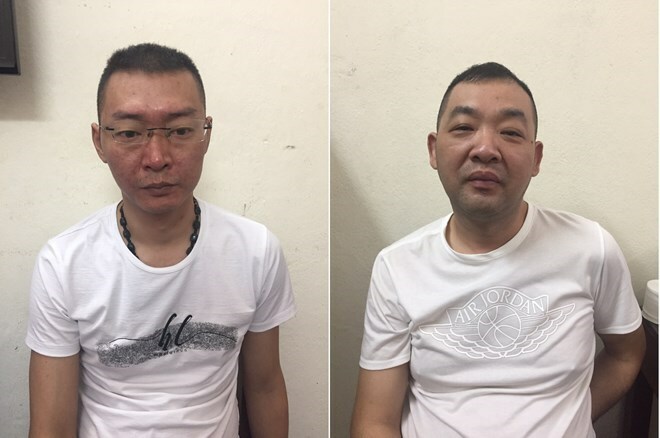 Zhang Ke Liang, from Hubei, and Chen Chun He illegally entered Vietnam on June 21 to go gambling at Hong Van Casino in Mong Cai, where Zhang Ke Liang lost all his money playing. Zhang Ke Liang was then introduced to Zhang Xin Qiang who agreed to lend him 400,000 yuan. However, Zhang Ke Liang continued to gamble to his last penny. Zhang Xin Qiang later forced Liang to write a promissory note for that amount of money and took him to Dai Nam Hotel near the casino for custody while waiting for Zhang Ke Liang’s family to pay his debt. The two wanted men were transferred to the Chinese side for further investigation.